There are plenty of beaches which suit many different tastes. As you will see on the Beach Guide below there are secluded coves with fewer people, long sandy stretches of beach and of course, the more populated ones that are packed with sun beds and a great place for people watching as well as tanning. The beaches that are closer to resorts tend to be very popular as they are easily accessible and have tavernas/cafeterias close at hand which makes the day on the beach very comfortable but rather busy. The pebbly beaches don’t attract the crowds and normally there is at least one taverna close by with a few sun beds. Get a taste of what Cretan Beaches are all about on this short video! Take your time. The longer it takes to tan the longer it will last. Use a high factor cream and reduce gradually. Apply suncreams as often as possible after swimming. Remember that even if cloudy UV rays still beam through & can do damage. On a boat be very careful. Not only is the breeze deceiving but you also get the rays bouncing off the water. After sunbathing always use plenty of after-sun cream or moisturizer to replace the oils lost in the skin. Avoid falling asleep in the sun, if you are feeling tired sit in the shade. Drink plenty of liquids- especially water to avoid dehydration and sunstroke. Also wearing a hat is advised. Here is a list of sandy beaches on Crete with shallow waters, which are ideal for small children. Iguana Beach- Agios Apostolis Beach- Chyrssi Akti Beach, these three beaches are about 4kms west of Chania Town, very shallow & perfect on a day when the Cretan seas are rough with lots of waves. Marathi Beach- on the south side Akrotiri peninsular facing the White Mountains, again sheltered waters & very shallow beach. 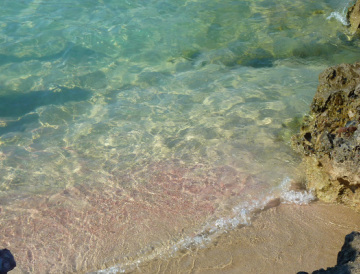 Elafonissi Beach- very shallow pools of water with a tinge of pink sand. On the southwest tip of Crete taking about 2 hours by car to reach or with the excursion coach that does a day trip. Almerida Beach- there are two beaches in the bay of Almerida, both are very shallow & ideal for children. Agia Marina- 8kms west of Chania, this is part of the long stretch of beach between Stalos & Platanias- the closer you are to Theodorou Island, the better. Although only if the sea is calm, if there are waves, then go to another suggested cove type beach. Stavros Beach- on the far left hand side of the beach it shallower than the right hand side. "Zorba the Greek" film was partly filmed at Stavros Beach as well. Canteens or tavernas are located on the beaches listed above or very nearby, making it easy to just spend the whole day there. After many years of discussing with holidaymakers on Crete, the verdict is out, "Ravdoucha Beach" is the best snorkelling beach with variety of underwater life. 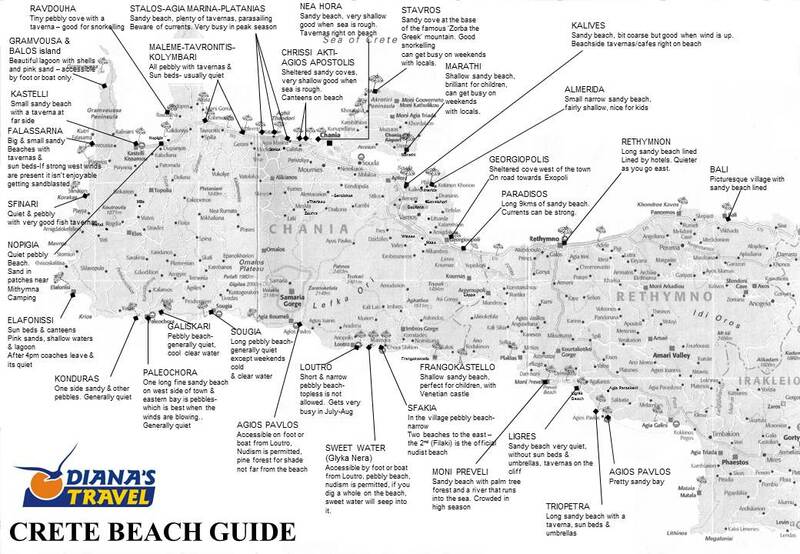 (approx 35min drive west of Chania- see Beach Guide below for location). With just a small cove with a pebbly beach sheltered by the rocks, there are rock shelves in the water which create a perfect place for the underwater life to habitat. There are tamarisk trees on a ledge above the beach for natural shade plus the bonus of a super little taverna called "Wave on the Rock" which is set back from the beach. The owner serves fresh fish & vegetables that grow in his garden. A super little spot to watch the sun dip down below the peninsular before you head up the cliff-edge road back to the National Highway. Another spot is Lazaretta Island which is opposite the town beach of Chania. You can get to it by paddle boat from the beach 30mins one way or by the short boat trips, which offer the use of snorkelling gear. 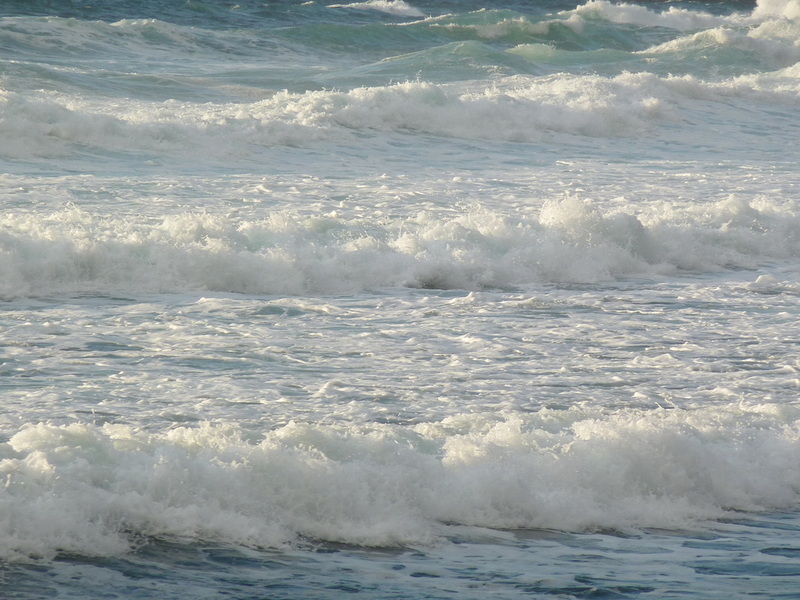 Please be careful when swimming, especially when the sea is rough as there may be strong currents. Few beaches are supervised, but if the RED FLAG is flying, DON’T SWIM. if a lifeguard isn’t present at the beach, use your common sense, if it looks rough, don’t swim! Yellow flag- swim with caution and White flag – calm- no restrictions. There really is a reason for not swimming after you eat and the reason is that your body is using all it’s energy to digest the food in your stomach and it does so by taking energy from other parts of your body that aren’t need it i.e. your limbs. Therefore, if you do try to swim energetically after eating – your body hasn’t got time to prepare the limbs and disperse the energy which means you will not have the strength to cope with strenuous exercise like swimming. So be wise and swim before eating – relax, digest at least 2 hours and then swim. When the sea is rough avoid swimming for obvious safety reasons.